Join Auri in a 3D adventure to meet the King and the Queen of Solea: jump, explore, solve puzzles and help friendly characters to open the doors of the castle! Auri's Tales is a tiny game by @amadeumartinez and @naretaa made with love and very few resources. We are making this game in our free time, just for the pleasure of do it. We are in love with the idea of leaving it behind as a gift to our daughter, and we like to imagine that she one day will play a little 3D adventure designed by her fathers and placed in a fantasy world that is based on our own life. 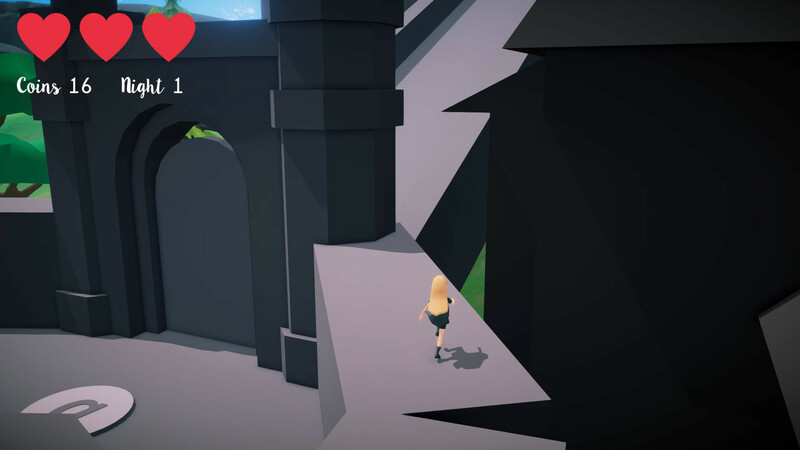 Auri’s Tales is a tiny 3D adventure game in which players will need to solve 12 quests to get access to the castle and complete the game. The whole game will be contained in one single level that works as a mini open world that players can freely explore and evokes to the classic 3D platformers. Jim Henson's Labyrinth, Alice in Wonderland, The Little Prince, Zelda I, Mario 64, Conker Reloaded or Dark Souls are some of the influences that inspire this game in different ways. We believe that this early access can be interesting both for nostalgics of 90s videogames and fans of independent videogame development. We are very proud of our current build and we want to share it with other players to build the right community around the game. We look forward to any comments, we are sure it will help us to improve Auri's Tales! It seems lovely! Keep up the good work! Hi Cryptic, thanks for playing and the nice feeback!